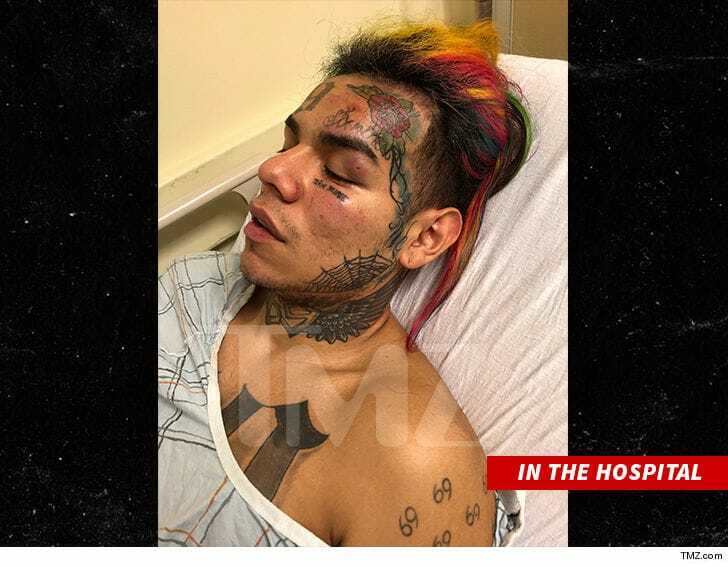 tekashi69 got robbed and hospitalized in NYC, bandits assaulted and blocked him. Three “hooded gunmen” knocked him unconscious and dumped him in the back seat of their car. The thieves drove him home, left the rapper in the car–guarded by on of the gunmen and went into the house where they stole about $ 750k in jewelry and $ 20k in cash. In the house there were his baby mama and his baby. The version the rapper told his people make him look harder than the version he told police. This story remind us about xxxTentacion. This is weird how these rappers don’t have bodyguards. After the robbery, 6ix9ine pleaded help to a stranger. He called the 911, an ambulance came too and the rapper was taken to a hospital. Doctors are performing various tests, including a CT scan.